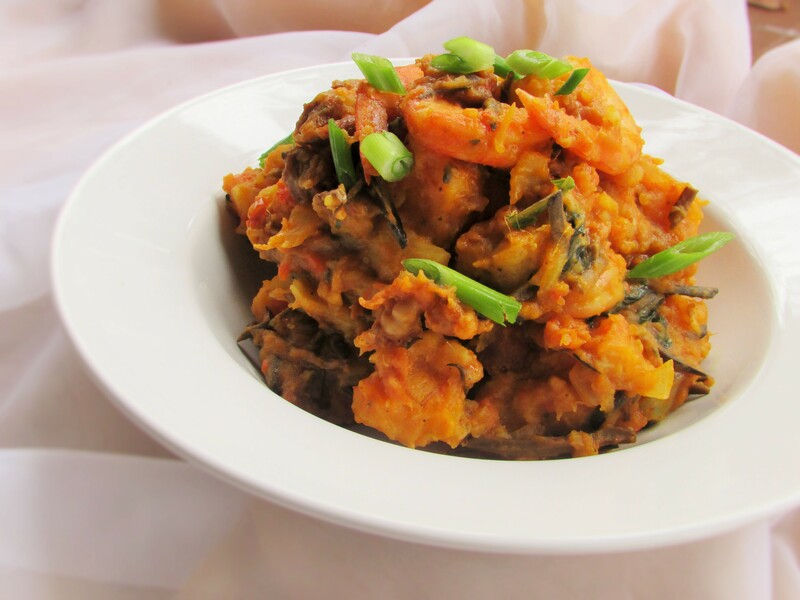 I want to call this a fusion type of dish but I would rather just call it yam pottage with Ugba. There are a lot of ways to cook this dish and of all the versions this one seems to be my favorite. I was talking to a friend of mine about cooking yam and we kind of shared some childhood memories. 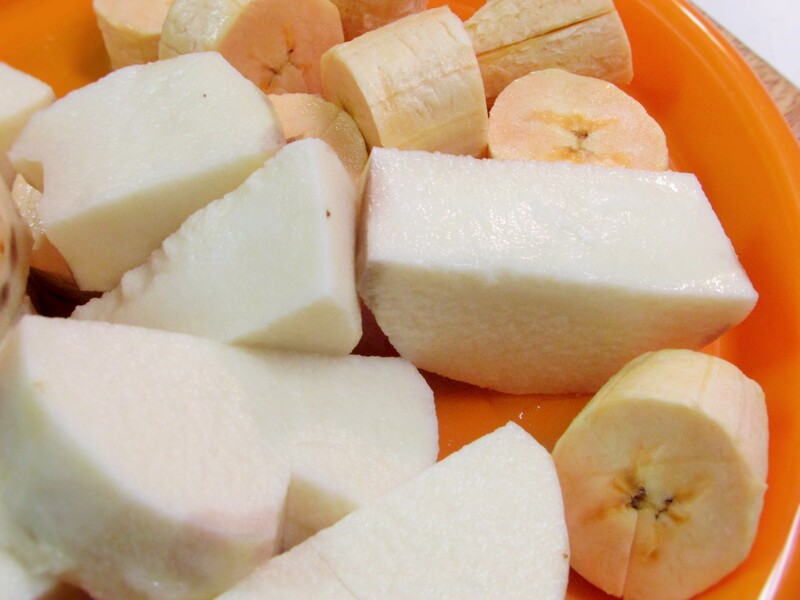 Growing up we used to hate yam, but the older we grew, my love for yam began to grow. She on the other hand, still does not like yam. I can eat yam 20 different ways. I do not know if I shall share all 20, but I shall share some and in no particular order. My mom made so much with yam and as I write this, I have memories of me plucking pumpkin leaves from mother’s farm for some yam pottage. 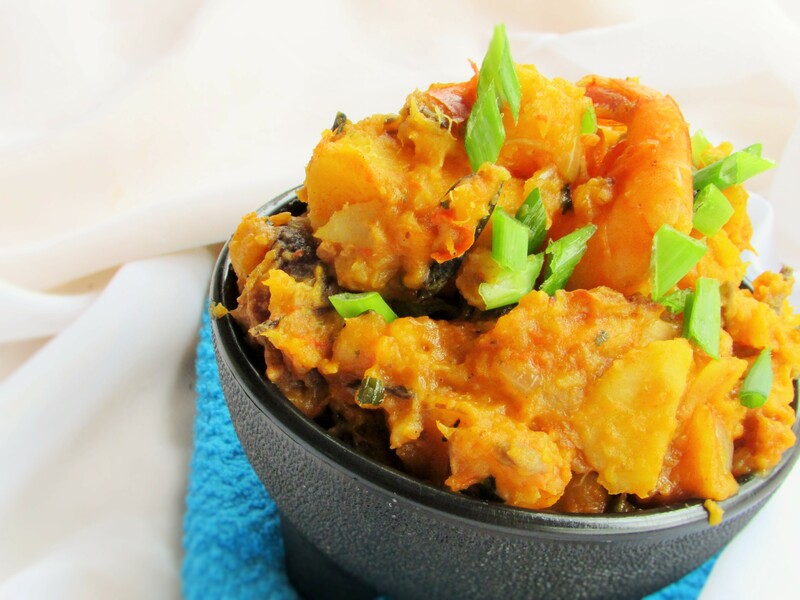 Stir in the crayfish; then gently place the yam and plantain into the pot along with the dry fish. bring the pot to a boil; then cover and reduce heat. 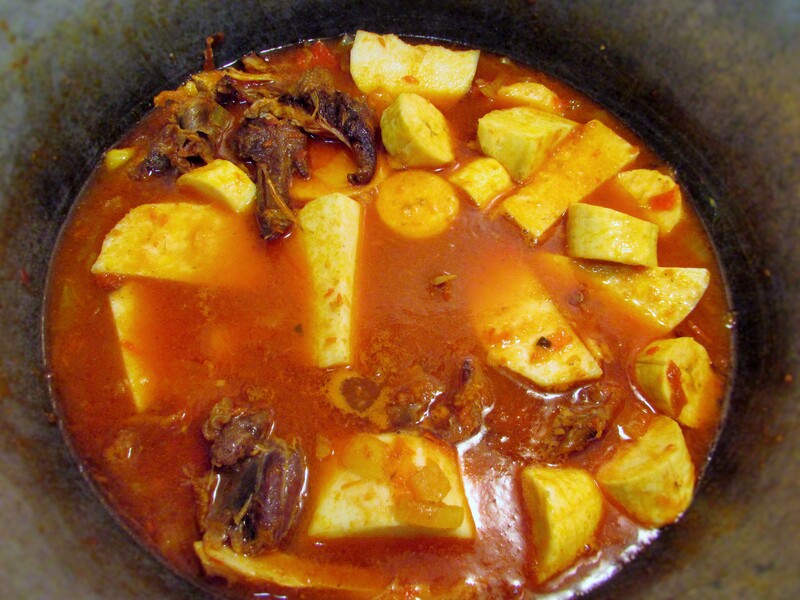 Cook until the yam and plantains are soft; then with your spoon or ladle begin to partially crush the yam and plantain and stir very well. 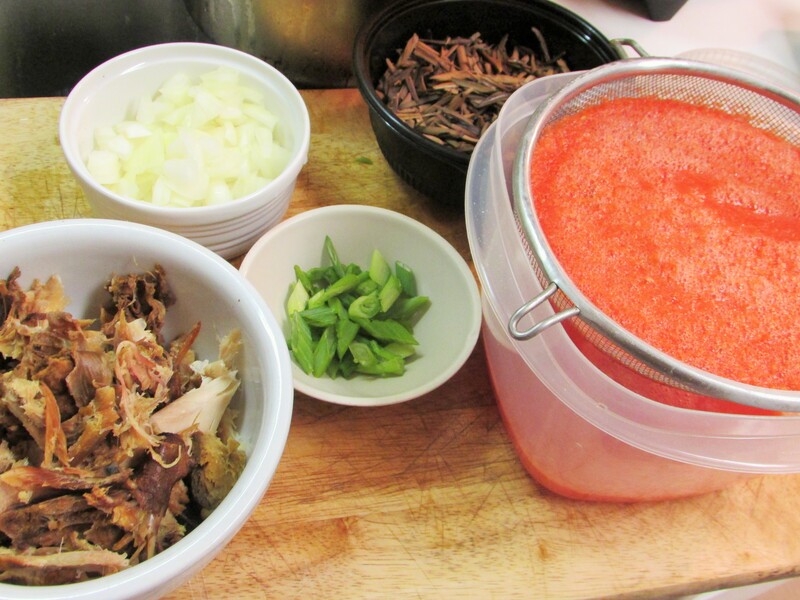 This entry was posted in Nigerian sauces, pottage, Ugba, Yam, Yam casserole, Yam pottage and tagged Nigerian yam and plantain pottage, Nigerian yam pottage, plantain pottage, Ugba, Ukpaka, Yam, yam and plantain pottage, yam pottage. Hahaha thank you Elsieisy. Don’t wait until you are married o…Get to cooking lol! wow, am definately trying dis one one today.